Here’s another older LibriVox audiobook featuring a character found in Alan Moore’s League Of Extraordinary Gentlemen. Wilhelmina “Mina” Harker (née Murray) is lucky enough to survive this novel and then go on to be the core characters around which the events of Moore’s first comix collection swirl. She’s the proper Englishwoman wearing a large scarf over her neck. She plays a literally pivotal role in Vol. 1 of The League Of Extraordinary Gentlemen. 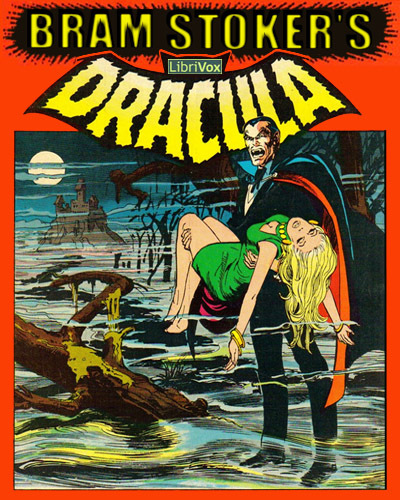 This version is not read by a single narrator, but, that’s okay in this case because Dracula is told from multiple (and ever shifting) viewpoints.